Casa De Hotels and resorts Group, based in the UAE has invested Rs. One billion to open The Wattura Resort and Spa in Waikkal as a BOI approved venture. Wattura offers a full spectrum of wellness-based activities and services that the entire family can enjoy. Set up by the Casa De Hotels and resorts Group, based in the UAE and operates under its holding entity Nishat General Company LLC, the hotel, was a billion-rupee investment which was facilitated and supported by the Board of Investment. Surrounded by the Indian Ocean on one side and the Gin Oya River on another, the entire property rises out of the water and its unique architectural design concept signifies the name of the hotel and conveys an essence of freshness and tranquility. He added: “This was also the first luxury boutique hotel that was set up in the company’s portfolio thanks to the support and facilitative assistance that was extended to us through the BOI. The hotel has already garnered immense interest from local and international customers who are keen to experience the novel wellness concept that Wattura has to offer.” Housed within the expansive property are beachfront villas and classic suites built on the scenic banks of the Gin Oya. Incorporating colours, textures and design concepts inspired by local flora and fauna, the overall look and feel of the property pays homage to Sri Lanka’s rich biodiversity and cultural heritage. Led by a robust sustainable approach, Wattura also engages in a range of eco-friendly practices such as rigorous waste management, rainwater harvesting and recycling. A total of one and a half acres of the 10 acre resort has been dedicated for water slides, an indoor arcade, mini theatre, food court and toddler zone with professional nannies and care giving services available. 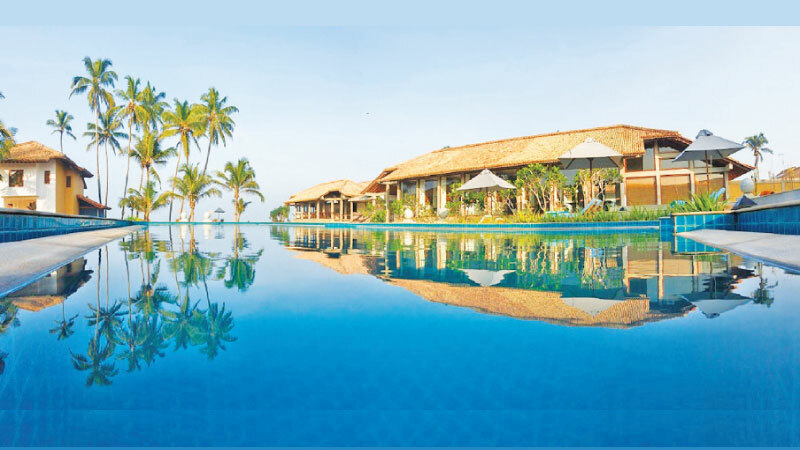 The Wattura property has drawn much interest and due to the immense success generated, the Case De Hotels and Resorts Group may expand its footprint in other locations in Sri Lanka, and due to the immense success generated, the Case De Hotels and Resorts Group may expand its footprint in other locations in Sri Lanka.